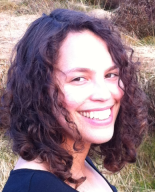 This week, I speak to Lucy Brooks of eCPD Webinars! Let’s go! I had been working in an industrial PR company. My job was administrative, but with my knowledge of German I became involved with the translation side, learning from the actual translators as I processed their work. My personal life was changing and my new husband (whom I met through the PR company by the way) introduced me to my first customer in 1990. I was entrusted with a large number of software manuals. I spent my first months honing my knowledge of that particular area of IT by visiting a trade exhibition in the subject and reading as much as I could. The thing that I remember most is my journey to collect the manuals – three boxes of them. That day was one of the worst snowstorms the south of England had seen for years and I was stuck on the M25! I am neither. I do like to get to the computer quite early – at around 8 am – to deal with emails and so on before I start work. At the peak of my translating career, after I had moved to full-time working as a translator, I was probably doing around 40 hours a week. Not more because I do like to switch off. Now, as a senior, I am probably only at my computer for 5 or 6 hours a day. But my brain never really stops, because when I’m away from the computer I’m reading and thinking about my work. Pretty set really. Ideally I work during weekdays, normal office hours. But I often go out for short periods during the day for various outside activities. It’s rare for me to work on translations at the weekend, though of course I have done in order to meet deadlines. But I only take on work with deadlines I know I can meet without having to burn the midnight oil. I have cut my client base to suit the change in work-life balance that I aim to achieve in my senior years. I don’t want to work 40 hours any more, but I do love being part of the world of commerce and want to continue my translation work for years to come. Yes I do. It’s important to carve a niche where you are happy with the income you are earning and the amount of work you have to do to achieve it. If you are working 60 hours a week and still not achieving the income you want or need, then something is wrong. 7. 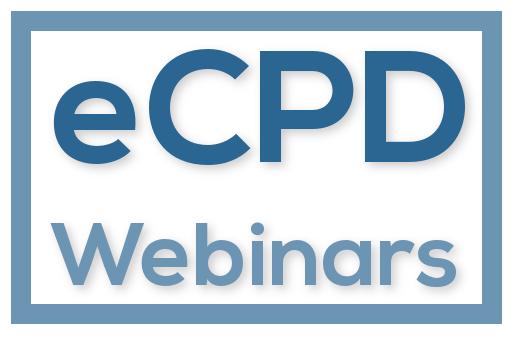 As many of my readers know, you are not just a translator; you also run eCPD Webinars. Did launching a second company with international colleagues present any time management challenges? Indubitably. Our customers at eCPD are located just about everywhere in the world: we have regulars from New Zealand and another customer based in Hawaii – that’s a difference of 23 hours. And of course just about everywhere in between. Clearly they cannot all attend live webinars unless they are true night owls, but we try to vary the times to give as much opportunity as possible to our customers on the other side of the world to attend live. But if they really cannot, they can view the recorded session. For live webinars there is a set time and we have to adhere to that very strictly of course, so I cannot be flexible in that respect. But I can perform all the other tasks involved in running eCPD during my working day. As far as the translation business is concerned, I definitely had to cut my customer base down to just a few customers, and sometimes I have to refuse work even from them – at least from my agency clients. I do not refuse work from direct clients, but often need to negotiate deadlines with them so that I can juggle eCPD with translations. 8. What’s the biggest productivity challenge you’ve faced running your own business? Fitting it all in and managing time effectively. I am a list-maker. I keep a calendar and a work scheduling system. So I am always aware of what I have to do. I work out how much time each activity will take and mark off time slots – possibly in my head, but sometimes on paper. My Google calendar, Google Keep, and recently RescueTime, which tells me how long I am working and on what. Sorry, that’s three! Don’t be afraid to ask. When I started back in 1990 the Internet was in its infancy. There were no forums or chat rooms where you could ask colleagues questions. I wish I had had a mentor during those early years: someone to check my work and offer advice. Nowadays there is no need to feel lonely as I did in those early days. I go to the gym a lot – so you might well meet me in a zumba class, lifting weights, doing squat jumps on the TRX, or powering through my lengths in the pool. I noticed another post on your blog about sport and productivity. Like you, I truly believe that a trip to the gym, though it may take two hours out of my day, makes me much more productive and alert. I also belong to a community choir. That means a choir where we don’t have to be able to read music, or even sing particularly brilliantly. We just have a good time singing our souls out. And we give concerts every so often to raise money for charities. Lucy has been in business for over 30 years, and has operated a successful commercial and industrial translation business for the past 22. She is a fellow of the Chartered Institute of Linguists, a qualified member of ITI, and was one of the first to attain the newly created professional chartered status for linguists. 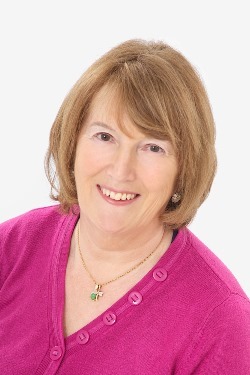 In 2009 – 2010, Lucy instituted a series of webinars for the Chartered Institute of Linguists and drove forward a dynamic programme of professional development. She went on to found eCPD Webinars in 2010.